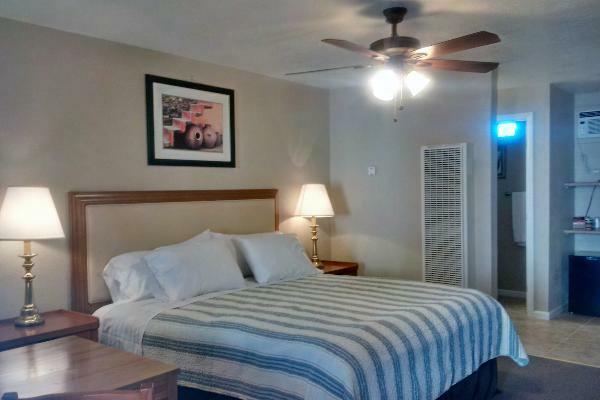 King bed with room air conditioning, walk in shower, large flat screen TV, a mini-fridge, microwave and coffee maker. This room also has Dish satellite television &amp; Free WiFi Internet access - this is a NO PETS ALLOWED room. Guest may also enjoy the gas barbeques and picnic tables in the courtyard.